Spring is coming in Paris and like every year a multitude of events are organized for your enjoyment. Salon buffs will be delighted to learn that the Foire de Paris is coming from March 29th to april 10, 2015 in Paris Porte de Versailles. Find out multiple surprises and discoveries. 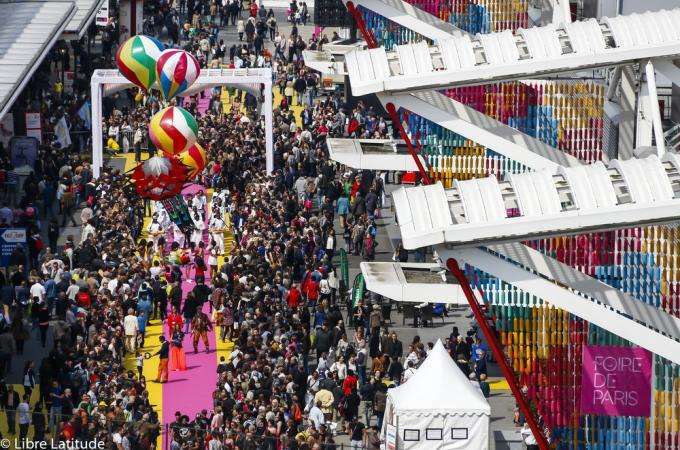 Foire de Paris coincides with Easter, and of course that’s one of the very best times to book a stay at the Vice Versa Hotel. Take advantage of our special packages to enjoy the best rates and enhance your stay. Our Zoom Room Deluxe package combines a stay in one of our sumptuous deluxe rooms with breakfast and free entry to our Hammam, and is a real treat for Easter. At Hotel Vice Versa we like to indulge all of your sins, and one of our personal favourites is ‘greed’. Gourmets will be in heaven with our fantastic Louis & Adrien Package, which combines a classic rooms and breakfast with a tasty box of treats. Starting from €190 you can sample delicious nibbles from the iconic red box, such as Tomes des Bauges cheese, Laucane ham, artisan olives, fresh bread and elegant 2009 Pepterie red wine from Bordeaux.Foire de Paris isn’t just for families; it’s a delightfully romantic outing for couples. Hold hands on the scariest rides and share cotton candy as you stroll among the sideshows before returning to your own oasis of luxury and elegance at Hotel Vice Versa. Our ‘Your Love Box’ offer is just the thing to make your stay really special and contains all you need to add a frisson of glamour and fun to your evening. Book now to ensure that you don’t miss out on Foire de Paris, and be sure to take advantage of our very special offers to create a truly memorable and enjoyable break here at the Vice Versa Hotel.